These are a few photos my father and I took during a trip to Alaska in June, 1984. We spent some time in Anchorage and then made our way to Wasilla where we caught the train to Denali National Park. In Denali National Park, we spent the night in old sleeping cars that served as the hotel at the lodge. The following afternoon we caught the train and continued on to Fairbanks. ARR rebuilt EMD GP7 No. 1803 working in the Anchorage yard. 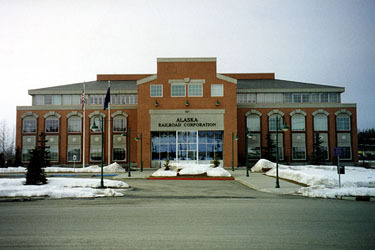 Note that the large white building at the base of the hill is the Anchorage train station. ARR rebuilt EMD GP7 No. 1803 working in the Anchorage yard. Caboose No. 1069 in the Anchorage yard. Caboose No. 1085 in the Anchorage yard. 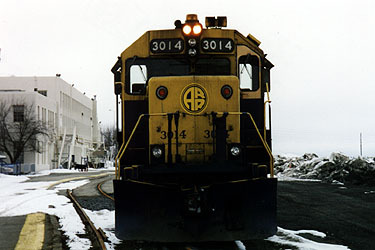 Passenger train from Fairbanks arrives at the Anchorage station. ARR EMD E9A No. 2401 at the Anchorage station. ARR baggage car No. 6388 at the Anchorage station. ARR dome car No. 7008 at the Anchorage station. ARR EMD E9A No. 2401 and F7B No. 1517 lead the way to Denali National Park. Photo from the dome car of Mt. McKinley in the distance. Mt. McKinley taken from the train by shooting up over the top of the train on a sharp right turn while leaning out the right side door. Same as photo above, but enhanced to bring out Mt. McKinley. 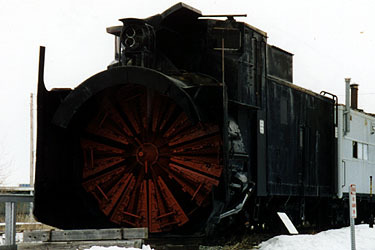 One of the sleeping cars used as the hotel at Denali National Park. 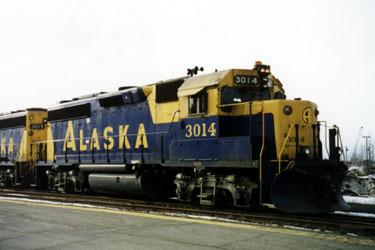 GP40 3014 at Anchorage Station. MP15DC 1551 working in Anchorage. 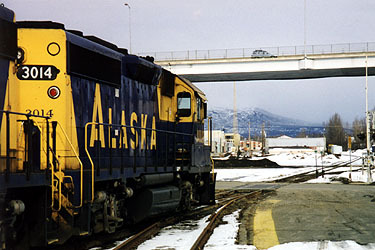 SD70MAC 4002 working in Anchorage yard. SD70MAC 4012 working in Anchorage yard. 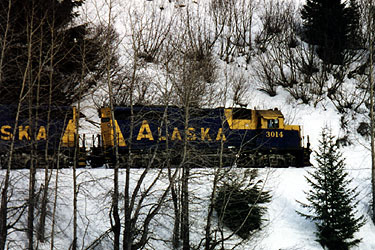 SD70MAC 4013 working in Anchorage yard. SD70MAC 4015 at the Talkeetna Station. 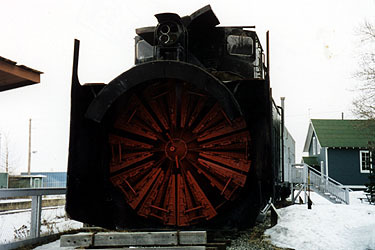 GP40-2 3015 at the Talkeetna Station.